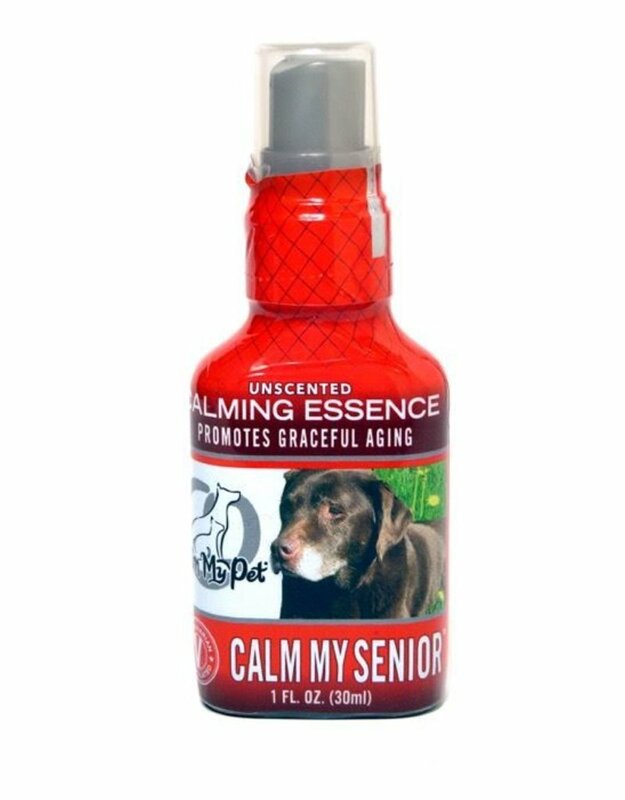 Use daily to help relax and calm your senior dog. This calming spray will help aid in relaxation, memory, and ease any discomfort. Spray is effective within a minutes and can be used as needed. Shake before use. Spray on your hands and massage the backside of the pet multiple times a day or as needed. Hold spray eight to ten inches away from your pet to create a light mist effect on your pet’s torso. Spray can also be sprayed into your pets water bowl. Use daily if necessary, or before any upcoming events that may trigger stress in your furry friend! Avoid direct contact with eyes. Zinnia – enhances one’s ability to rediscover the child-like qualities of playfulness, joy, delight, unconditional love, and a spirit of lighthearted innocence and adventure.